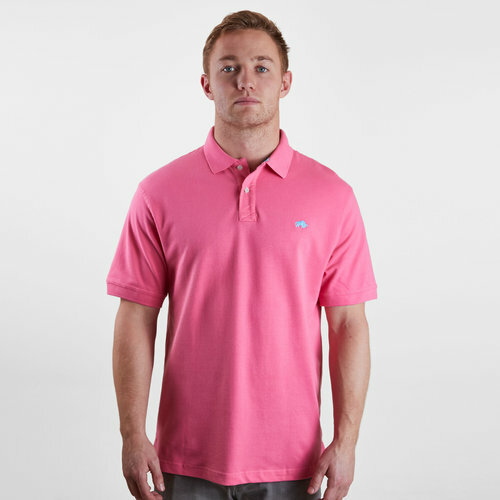 Be the style envy of everyone when you turn up looking fresh in this Raging Bull Signature Rugby Polo Shirt in Pink. Every wardrobe needs a classic polo shirt. This signature rugby shirt features the unmistakable Raging Bull emblem so that everyone can see where your panache comes from. This polo comes with a collar and traditional 3 rubber button placket. This is the perfect attire for a game or out and about when you hit the streets.